So I said I could care less, but that isn't exactly true! As long as they are all the same and WHITE, I could care less! It's way easier to turn on and off the decora switches with an elbow, which is the only real reason I appreciate them. I said old-fashioned switches. I didn't even know those were a thing until I moved into a house with push button switches, and I was immediately in love. If they weren't $20 each, I would replace all the flip switches in my house with them. I live in a 1968 split level so they'd be completely out of place, but I'd be happy. For now I guess I'll just keep replacing all my almond flip switches with white. I voted for the Decora, because of their simple design and ease of use. They are large enough that they are easy to turn off when your hands are dirty or full by using other parts of your body such as your elbow. Decora – mainly because flip switches collect grime/dust more easily. I've been slowly replacing all our flip switches with decora and love them! Push button, hands down. We love ours. The clunk is soooo satisfying. 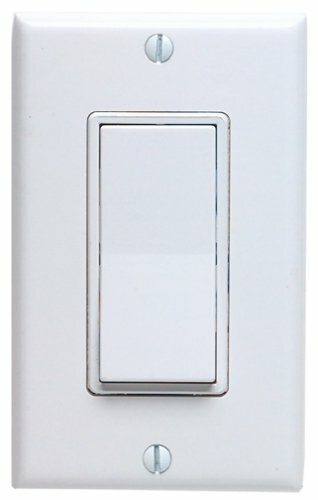 We are putting flip switches upstairs though and the new kitchen also has flip because i really wanted dimmable lights in the kitchen and the push button with the dimmer was too expensive. I plan on putting the push buttons in all the other rooms on the first floor eventually. Something about the decoras just doesnt seem right to me. Yes, they are about $40 each. Who the hell would pay $40 for a switch when you can get one that does the job for $1. I love the flip switch. You're right, there's just something so satisfying about flipping that switch! Our house has the best of both the flip switch and the push button. They're old and don't flip easily so they make a very satisfying "clunk" when flipped. I love/hate them because it's really annoying when you're quietly trying to turn off the light so as not to wake the sleeping baby. And they're also kind of hard for a one year old to do, and he so desperately loves to flip switches! And I'm so in love with the Fontini light switches–they look so beautiful and retro, but since I've never even been able to find a price, I can only imagine that they cost way more than I would be able to afford. Those Fontini ones are gorgeous! But, yes, they must cost so much. Sigh. Always. I totally never thought about the noise of the old fashioned ones, but man that must make your heart beat increase hoping the baby doesn't wake up, ha! I've come to prefer the Decora style switches. They are easier to keep clean and they also use the same switch plates as a huge variety of other devices that you can gang with them. The only thing you loose is the easy ability to tell when you've pulled a dumb dumb in low light and installed it upside down. Toggles say "NO" instead of "ON" when inverted. I also appreciate the solid feel of a good switch. During the two phases of remodel of our last house, I installed all Leviton Heavy Duty switches. They have a very solid feel when pressed. One downside is they didn't make 4-way switches, so those were the cheaper models (and I really noticed the difference). Leviton also makes Industrial Heavy Duty Grade outlets. For our current house remodel, I installed Adorne (by Legrand) outlets and switches. They're very nice and look great, but the dimmers are pricey. One benefit is the switches and outlets in multi-gang boxes are perfectly aligned, which is difficult with typical switches and outlets.